Over the years the Company have carried out wide range of design, manufacturing & erection activities with its own & ancillary resources of Boiler Pressure Parts, Pressure Vessels, Tanks, Heat Exchangers, Soot Blowers, P.F. Mill / Coal Mill Components, Valves, Strainers, Filters, Pipe-Fittings & Accessories for:-Thermal & Nuclear Power Plants, Steel Plants, Petrochemicals & Oil Industries, Sugar Mills, Paper Industries, Cement Plants, Fertilizer Plants & Process Industries. With a modest inception in 1998, we have grown our activities & established our name in the last few years as a modern designing & manufacturing Unit in Howrah neighbouring city Kolkata. These Units are strategically located near major National Highways enabling easy transportation & delivery. 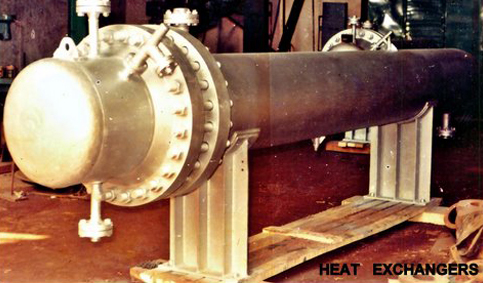 The Company has also diversified to various other Products like Wind Box Assly, Pumping & Heating Unit, Sample Cooler, Gas Cooler, Fin tube type Heat Exchangers, Complete Air Preheater including Tube Sheets for Air Preheater, Conical Impeller, Atomiser Oil Gun Assly., Air Register Assly., etc. for Power Plants, Steel Plants, Chemical Industries. We have so far supplied specialized Boiler Pressure Parts of Boiler upto 800MW (Super Critical Boiler) & with the induction of sophisticated automatic CNC Tube Bending Machines. We are now very well equipped to make Bends of ‘0.75D’, ‘1D’ Radius & above. We are SSI, NSIC, ISO 9001:2008 Certified Company. Our Works is approved by the Central Boiler Board authorized by BOILER DIRECTORATE, West Bengal. It brings life giving water to the farmers, it is the basic component for manufacturing & is an indispensable element of modern-day living. Power parameters through every aspect of life & business, bringingproductivity & profit of all simply put, Power is a strong determinant of prosperity. Its availability in sufficient quantities causes a world difference. To contribute to the development of Power, Steel & Process Industries. To meet best quality, price & optimum schedule delivery & consistently satisfy customers. To continuously improve on cycle time reduction & modernization of manufacturing process applicable for the Power, Steel & Process Industries. To bring high level of execution skills, meet customer benchmarks service customers & satisfy them through timely completion of projects without compromising on quality. To improve on existing quality system on its operations. To achieve greater productivity & safety standard. To maintain good growth of net worth & build on the assets of the Company. To be a market leader & highly dependable service provider.